Garnier Skin Naturals has signed on the young, bubbly, peppy, stylish and vivacious Alia Bhatt as the brand ambassador for the Garnier Pure Active Range of Products. This range of products focuses mainly as a cleanser brand that dedicates itself to repairing and solving skin problems like acne, pimples dark spots etc. especially for the youth of the country. Alia Bhatt is the perfect brand ambassador as she fits into the Target Audience and is a young style icon amongst many. 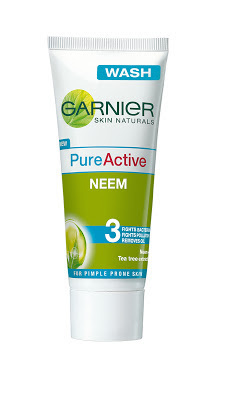 Garnier Pure Active Range of products is a unisex cleanser that has the country’s most beloved, renowned and historical ingredient – Neem - An ingredient, which has several advantages and provides various solutions for solving different problems ranging from head to toe. Garnier is proud to amplify the use of this powerful ingredient and/that is backed by the modernity and scientific basis of Brand Garnier. Every day your skin feels impure as it braves pollution, bacteria & excess oil. This could result in your skin becoming pimple prone! Now fight pimples and germs with the New Garnier Pure Active Neem Face Wash. Enriched with the power of Neem Leaf Extract and Tea Tree Oil, Pure Active Neem face wash leaves the skin feeling clean, fresh and clearer. The innovative soap-free formula helps to prevent pimples, and their recurrence. The product has three main benefits; a) it fights bacteria by washing away any problem causing bacteria to help prevent pimples, b) fights pollution as it deep cleans pores by removing impurities caused by pollution and c) removes oil by washing away excess oil which can attract dirt, germs and bacteria. 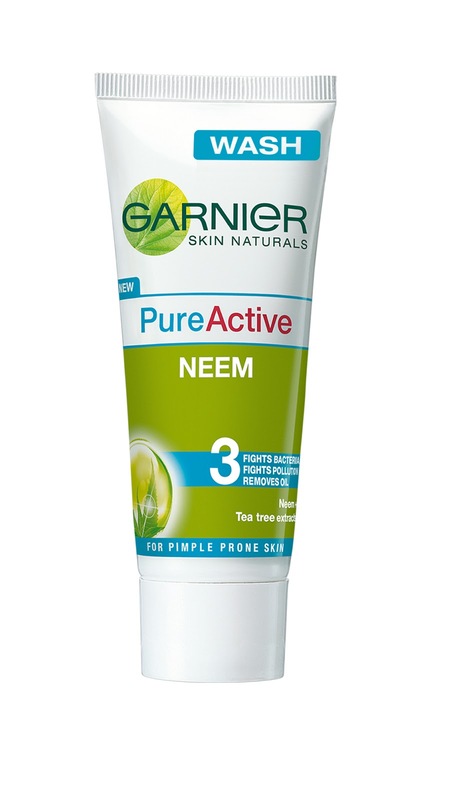 Garnier’s New PureActive Neem face wash is available in 50g and 100g packs priced at Rs.49 and Rs.75 respectively across retail outlets across India. Garnier Pure Active Pore Unclogging Wash – It has an intense refreshing formula that deeply purifies pores, removes inlayed impurities and prevents formation of imperfection marks and is ideal for those in search for a perfect skin result. It is priced at Rs.79 and Rs.150 for 50g and 100g respectively. Garnier Pure Active Blackheads Uprooting Scrub – It delivers a double ‘anti spots, anti-marks’ action. Enriched with an exfloliant/exfoliate & powerful micro-beads, it not only roots out blackheads but also gently peels off imperfection marks thanks to its remarkable scrubbing properties. It is priced at Rs. 79 and Rs. 150 for 50g and 100g respectively.